Two key reasons for equity investing are to benefit from overall market growth (also known as beta) and to benefit from the success of outperforming companies (alpha or excess return over the market). By investing in global equities, investors can hope to benefit from both, on a global scale. The global economy has enjoyed a period of strong growth in recent decades. Thanks to the rise of China and other emerging markets, the technology revolution and other factors, investors in global equities have enjoyed good returns. In fact, the annualised 10-year return from global equities, from 2008 to 2017, was 9.4%. Equity returns can be volatile, so this period included a steep fall of -19.5% in 2008, another negative return of -6.2% in 2011, and returns of 20% or more in two years, 2009 and 2016. Looking within the overall global equity return, there are some interesting variations. The US equity market was the best performer, with a 12.8% annualised 10-year return, marginally ahead of Denmark, which returned 12.7%, with Switzerland in third place, with 10%. At this point, it is vital to add the qualification that there is not necessarily a positive, linear relationship with underlying economic growth in a country and the performance of its equity market. On one hand, the US economy is the largest in the world, and it has the largest equity market, so there is generally a direct relationship; when the US economy does well, so do its equity market indices. On the other hand, in some countries the equity market can be small in relation to the overall economy and relatively inefficient. For example, China has the world’s second largest economy, around two-thirds the size of the US economy in 2017, but whereas the US accounted for 51.3% of global stock markets in 2017, China only represented 3.1% of global markets. As a result, equity investors in China may find it harder to capture the country’s economic growth. However, this is changing, as MSCI indices now include approximately $2 trillion in China ‘A’ shares, or companies listed in mainland China. Other factors can affect the relationship between a country’s economic size and its equity market. The UK has a larger equity market than Germany, but a smaller economy, because it has a strong equity culture and fewer privately owned, or family-owned, companies than Germany. It must be noted that global equities have also been a good performer for funds. For instance, the Orkney Islands Council Pension Fund gained 9% to the year ending on 31 March 2018, partly due to particularly strong global equity performance. It has a 60% allocation to equities, with global equities making up the bulk of this. 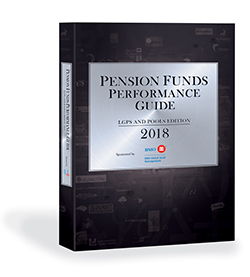 As a general trend, local authority pension funds are tending to trim their equity allocations, in order to invest more in alternatives such as private equity and infrastructure, but many still have around 40-50% in equities, if not more. One issue with a global equities allocation is the asset allocation between countries. A global allocation gives a manager greater freedom to pick the markets they find most attractive and this appeals to some investors who do not have the time or resources to decide this level of asset allocation. 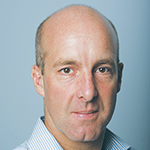 McIndoe said a global allocation makes sense unless investors have strong views on individual regions or countries, stating: “For active mandates it is a less constrained approach and allows managers to pick ‘best in world’ companies rather than ‘best in country’.” PAAMCO associate director, Cutler Cook, commented: “With a global mandate, investors give managers more degrees of freedom but give up some control and arguably lose some of the benefits of local specialisation. For certain investors, that will be a worthwhile tradeoff.” Cook added that because country allocation is a massive driver of relative performance in a global allocation, investors using a global mandate should seek to carefully attribute performance by country, sector and security to ascertain where managers are taking risk and making returns. While a global equity allocation has served pension funds well in recent years, conditions could be changing. Central banks are rising rates and withdrawing monetary support for markets, so global equities have become more volatile in the last few months. Emerging markets have been hit by tightening liquidity and trade war fears, while Europe has its problems with Brexit and Italy. However, many still believe that the current market cycle has some distance left to run. In addition, within the overall outlook, there are likely to be pockets of opportunity for investors in countries such as India, Brazil and other emerging economies in Asia, Africa and Latin America. Japan also offers its own growth story, as more women join the workforce, thanks to reforms introduced by Abenomics. Even if global equities see more volatility, they will remain an important part of the investment toolbox for pension fund investment. Market timing and asset allocation are two of the most difficult skills for any investor, so holding a diversified allocation to equities – which global equities provides – through thick and thin is a proven way to enjoy good returns over the long run.